Grant's parents named him Hiram but called him by his middle name, Ulysses, or "Lyss" for short. When he entered West Point in 1839, his name was mistakenly changed to U. Simpson. 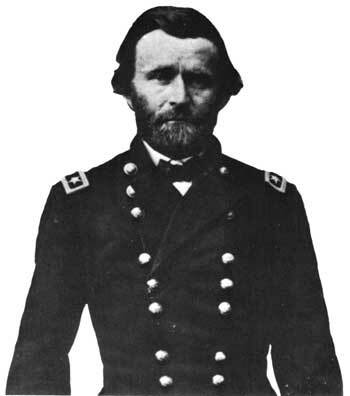 He then became known as U. S. Grant, rather than H. U. Grant, which stood for the initials for his given name, Hiram Ulysses. By the age of nine, young Ulysses was outstanding at breaking horses and teaching them to pace that area, so farmers hired the young Ulysses to train their horses. Grant's love of horses was an integral part of his life. Horses later played an important role during his military career. Grant had no intention of continuing with a military career when he graduated from West Point. Actually, he wanted to continue his studies and become a mathematics professor. 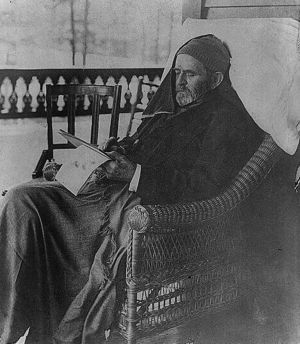 U.S. Grant was bankrupt at the time of his death. However, terminally ill, Grant finished his memoir just a few days before his death. The Memoirs sold over 300,000 copies, earning the Grant family over $450,000. Twain promoted the book as "the most remarkable work of its kind since the Commentaries of Julius Caesar." Grant's memoir has been regarded by writers as diverse as Matthew Arnold and Gertrude Stein as one of the finest works of its kind ever written.